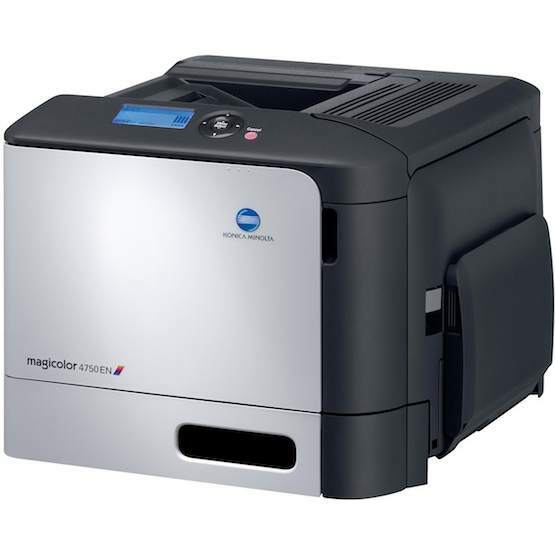 The Konica-Minolta magicolor 4750 is a color laser printer that is a moderately affordable option for workgroups. Those willing to spend a little more can acquire upgraded features like networking with the 4750EN model and double-sided printing with the 4750DN model. Each unit in the series advertises a quick maximum speed of 31 pages per minute for color and monochrome projects. Although lacking some key capabilities, the base model is a low-cost choice that offers some expandable features packed into its single-function design. 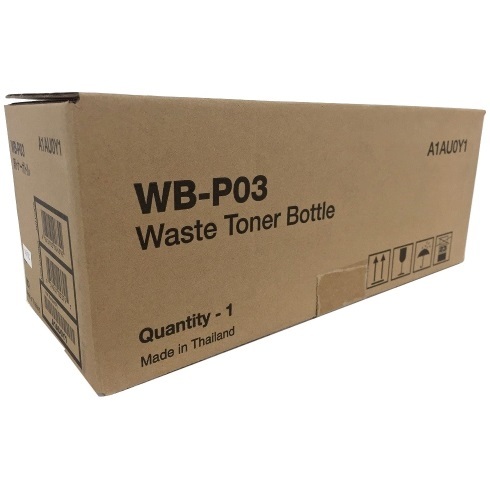 The device provides a starter 2,000-sheet magicolor 4750 printer toner cartridge and a standard memory of 256 MB that can be increased to a maximum of 768 MB. Users also have options to increase the standard paper handling of 350 pages to a maximum of 850 pages. The device incorporates a flexible multipurpose tray that can support media with a minimum size of 3.6x5.83 inches and a maximum size of 8.5x14 inches. The unit uses Simitri polymerized magicolor 4750 toner that is environmentally friendly and capable of printing text with sharp black lines and color graphics with precision. Both types of projects can print with a maximum resolution of 4800x600 dpi using black and color Konica-Minolta 4750 toner. With a compact size of 16x20x16 inches, users will be able to create these professional-quality documents straight from their desktop. 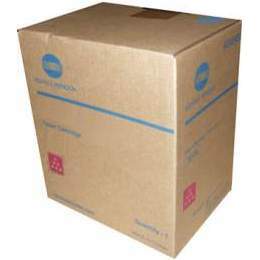 The device uses cyan, magenta, yellow and black Konica-Minolta 4750 toner that can print with high-definition clarity. Once the starter toners expire, replacement Konica-Minolta 4750 toner cartridges can yield up to 6,000 pages each and support small or medium-size workgroups. While missing some features like networking and duplexing that are provided with the other models in the series, the base model is a good option that still offers quick speeds and professional-quality output. Small or medium workgroups that want to save money on a quality single-function laser printer will benefit from the 4750.